Halle Porter Newland & Rickett, LLP (HPNR) is an accounting firm located in California’s Central Valley. HPNR’s team of professionals has over 90 years of combined knowledge and experience and offers a wide range of services including tax planning and compliance services, assurance and advisory services, accounting, bookkeeping and payroll services. 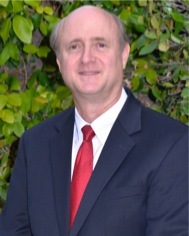 Richard is a partner with the firm and brings over 35 years of experience with him. He graduated from California State University, Bakersfield in 1979 with a Bachelor of Science Degree in Business Administration with an accounting concentration and from Golden Gate University in 1983 with a Master of Science Degree in Taxation. Richard is a member of the American Institute of Certified Public Accountants and the California Society of Certified Public Accountants. His career started with the firm of Deloitte and Touche before returning to his hometown of Bakersfield. Richard serves clients from a wide array of industries and organizations including construction companies, oil and gas producers, oil and gas service companies, professional corporations, information technology engineers and service companies, retailers and agribusiness, including ranchers, farmers and farm support entities. His areas of expertise include financial assurance and attest services, income and estate/gift planning and compliance as well as succession planning for closely held concerns. 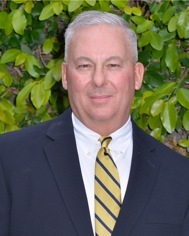 Jay is a partner with the firm and brings over 30 years of experience with him. He graduated from Brigham Young University in 1984 with a Bachelor of Science Degree in Accounting and a Master of Science Degree in Taxation. Jay is a member of the American Institute of Certified Public Accountants and the California Society of Certified Public Accountants. His career started with the international firm of Peat Marwick in Tulsa and then Arthur Young (later Ernst and Young) in Bakersfield. Jay serves a broad spectrum of clients including agribusiness companies comprised of both international and family farms, manufacturing, construction of commercial properties and single family homes, oil and gas exploration and producing companies, medical and dental practices, legal and real estate professionals and family owned businesses. His areas of expertise include tax research and planning, international taxation, estate gift and succession planning, compliance and other matters needing representation before the IRS. Jay was born in Washington, raised in Hawaii, and is currently married with 5 children. 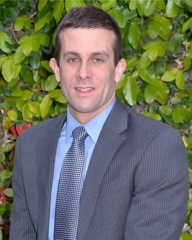 Sam is a partner with the firm and brings over 10 years of experience with him. 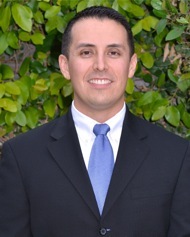 He graduated from California State University, Bakersfield in 2005 with a Bachelor of Science Degree in Business Administration with an accounting concentration and has continued his education at Golden Gate University in pursuit of a Master of Science Degree in Taxation. A member of the American Institute of Certified Public Accountants and the California Society of Certified Public Accountants, Sam strives to keep current with accounting and tax matters through ongoing continuing education. He is well experienced with a wide range of clientele including real estate developers and investors, construction contractors, professional service providers, oil and gas service companies, manufacturing companies, retail companies, and closely held businesses. His areas of expertise include financial assurance and attest services and income tax planning and compliance services. Samuel was born and raised in Bakersfield, California, where he is rooted with his wife and three children. Outside of the office, Sam enjoys spending time with his growing family, camping trips, and all things sports. Craig is a partner with the firm and brings over 10 years of experience with him. Working his way through college in public accounting and in private industry, he graduated from California State University, Bakersfield in 2006 with a Bachelor of Science Degree in Business Administration with an accounting concentration. Shortly thereafter in 2007, he obtained his CPA license and is a member of the American Institute of Certified Public Accountants and the California Society of Certified Public Accountants. In 2013, he graduated from Golden Gate University with a Master of Science Degree in Taxation. Craig serves clients from a wide array of industries and organizations including agribusiness companies, oil and gas producers, refiners, and service companies, retailers, real estate investors, realtors, and not for profit entities. His areas of expertise include tax compliance, tax research, income and estate/gift tax planning, and financial assurance and attest services. Craig was born and raised in Bakersfield, is married with two children, and loves to travel.